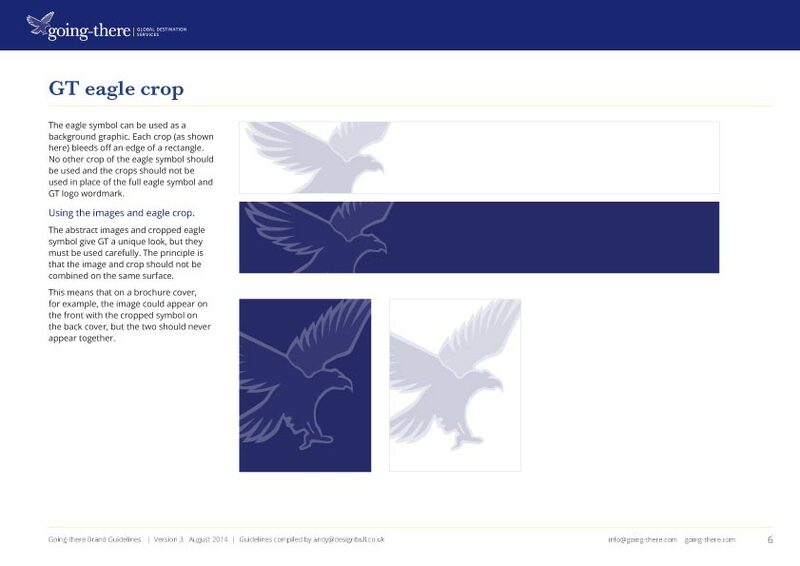 A brand guidelines document or corporate brand manual is a detailed guide that has all of your design and marketing materials – from the design of your logo and how it can be used, to your letterhead, the look of the website and internal communications. 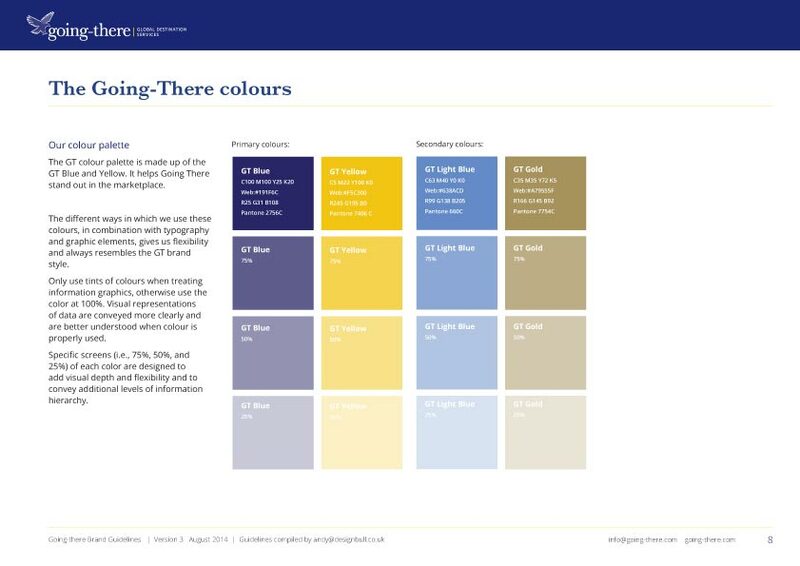 It can show you what fonts you should be using, which colour palettes represent your business and even what style or tone of writing you should use. 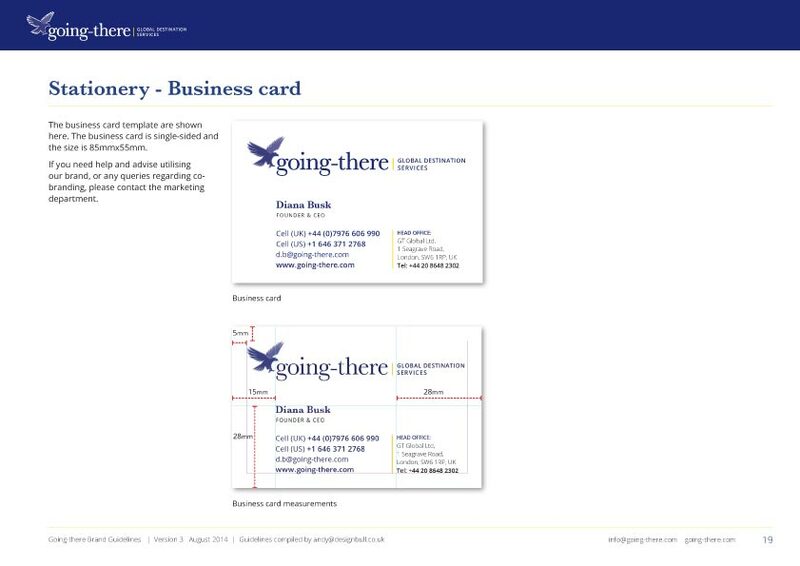 It should be an easy-to-read ‘guide’ that helps everyone from your team to your suppliers design your company’s marketing material – making sure everything is consistent and looking like it’s from the same company. 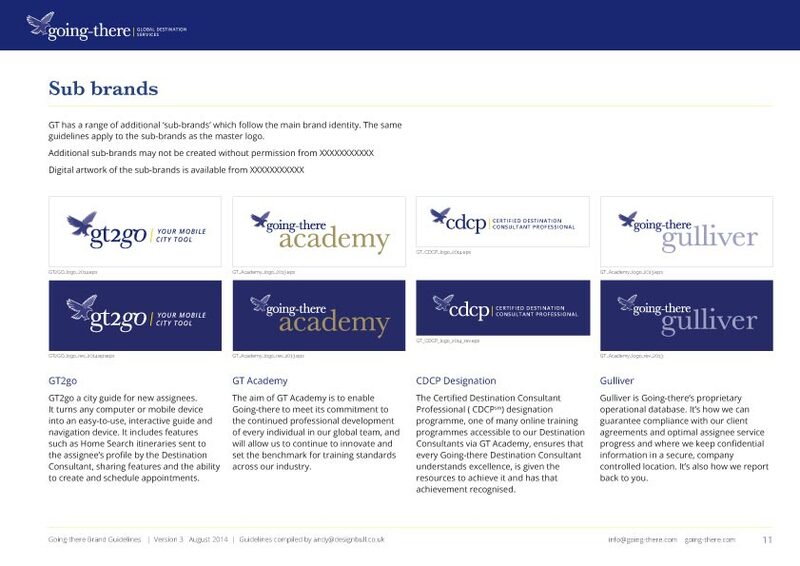 Some designers groan at the mention of, ‘Have you followed their corporate brand guidelines?’ They say it stifles their creativity and makes a business design look very run of the mill. But it shouldn’t be this way. 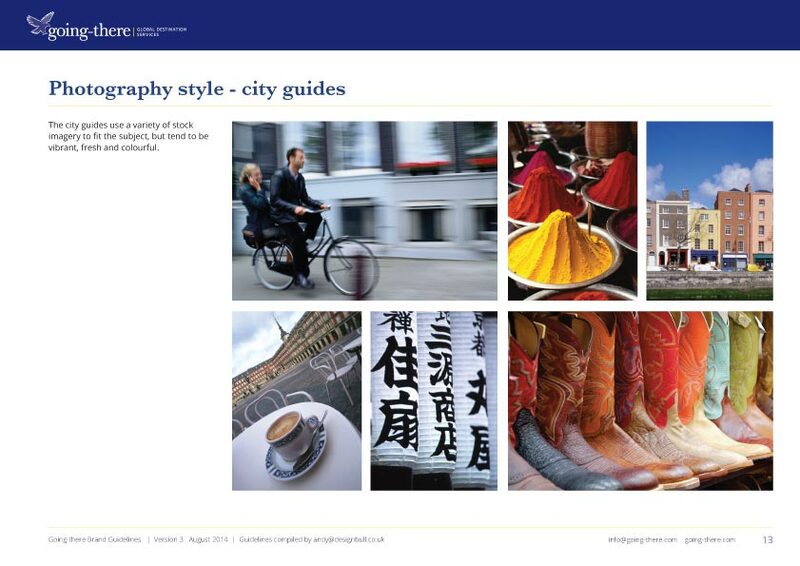 The clue is in the title, ‘Brand GUIDELINES‘. 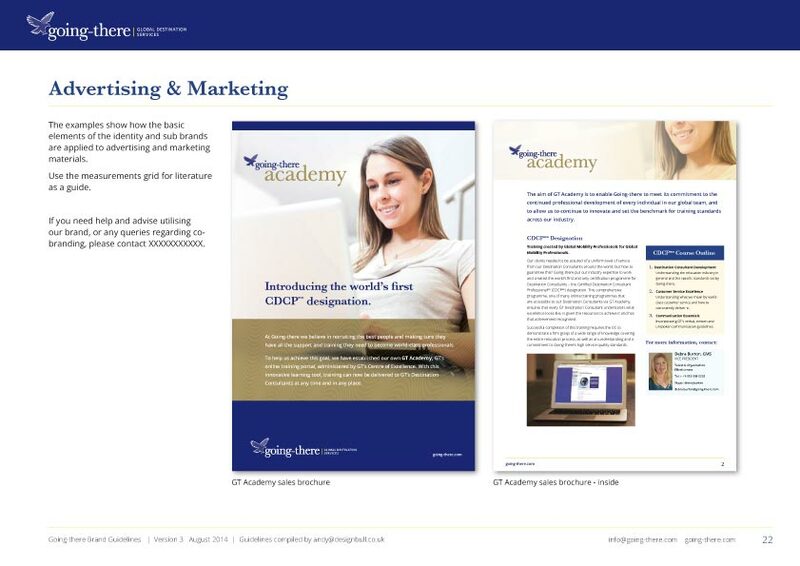 They are there to GUIDE a designer or team member to the framework of a brand style – so they can focus on the freedom of a creative marketing message. 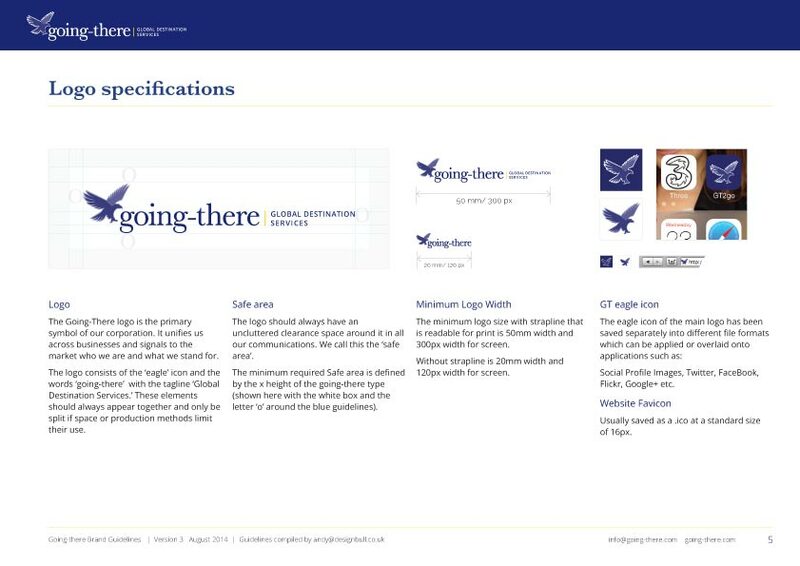 I’ve recently completed a brand guidelines document for a client and thought I’d shed some light on what goes into creating a set of brand guidelines. 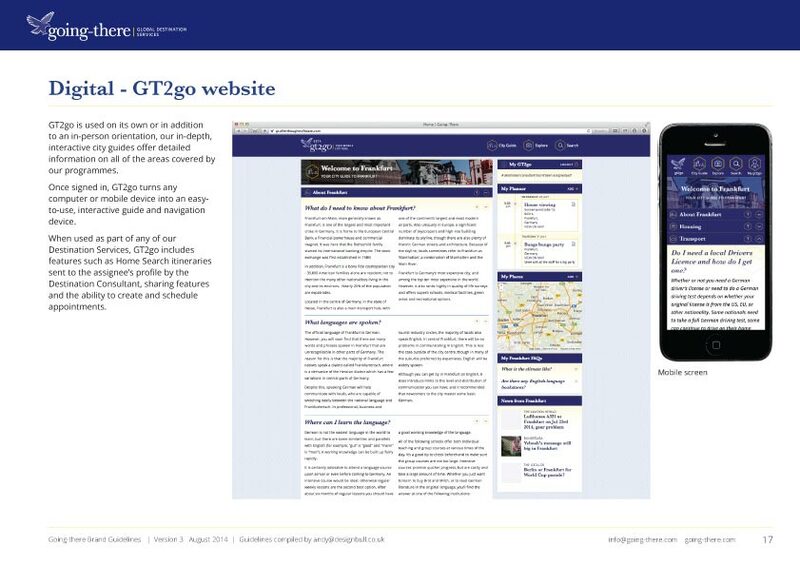 It contains all their latest design and marketing materials and how they are used. 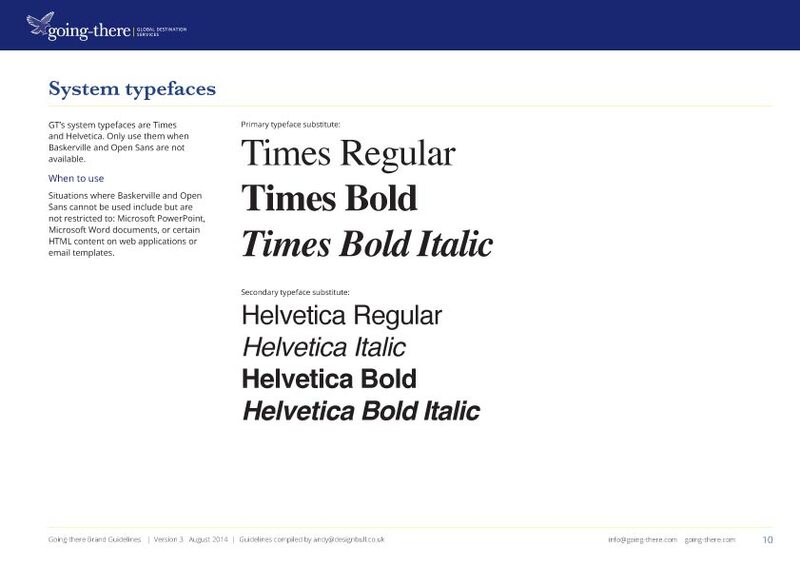 And keep in mind that brand guidelines can evolve – as their company expands and evolves with market trends, I expect their brand guidelines to be updated with new additions or tweaks. 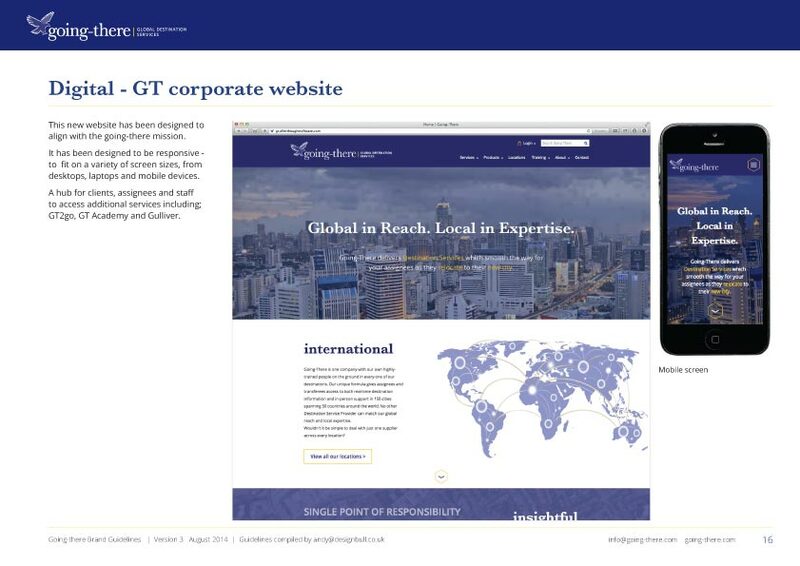 GT Global are a relocation company offering assignees and transferees access to both real-time destination information and in-person support in 150 cities spanning 50 countries around the world. 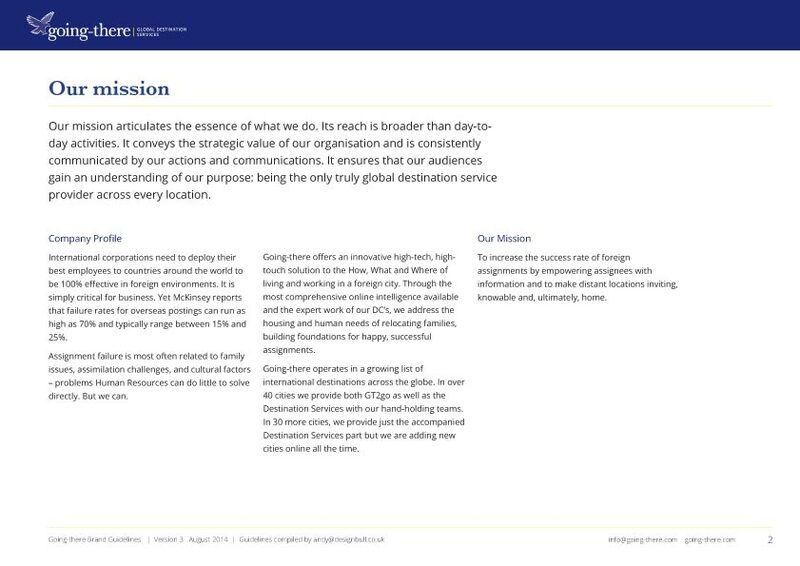 They have a network of staff based around the globe. 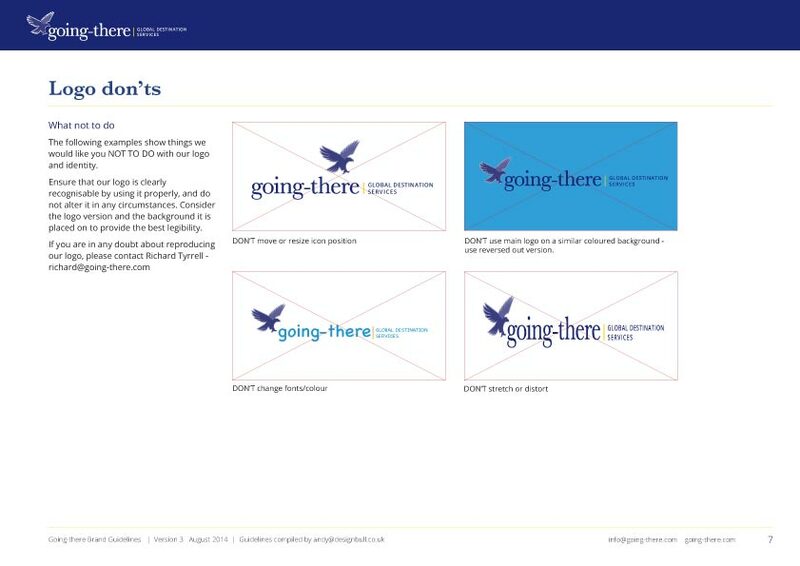 I found that keeping a consistent style of design with their brand identity across the team proved difficult. 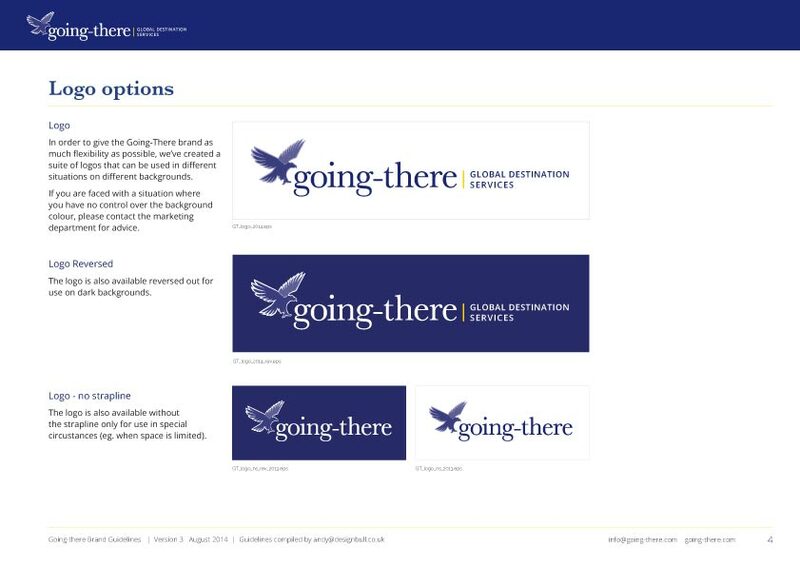 I suggested that a brand guidelines document would help them keep their brand consistent through all their marketing materials as they launch their new digital services in 2014 and save them time and money going forward. 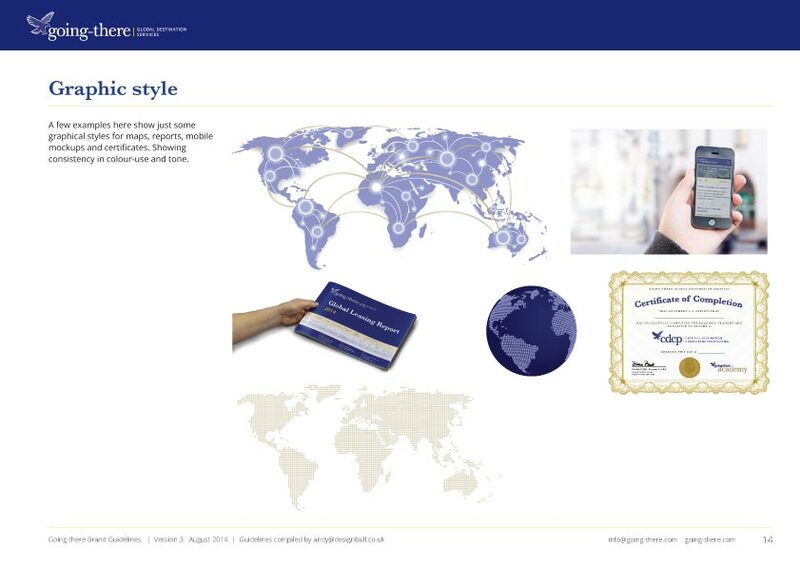 From this brand identity analysis flowchart, I wanted to visually show them what brand materials they currently use. 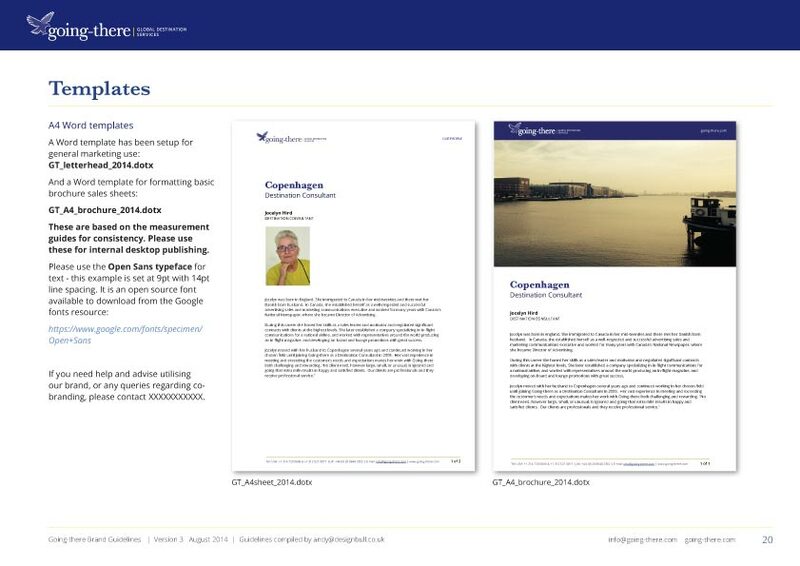 I took screenshots and jpgs of all their marketing materials and placed them into one large document. 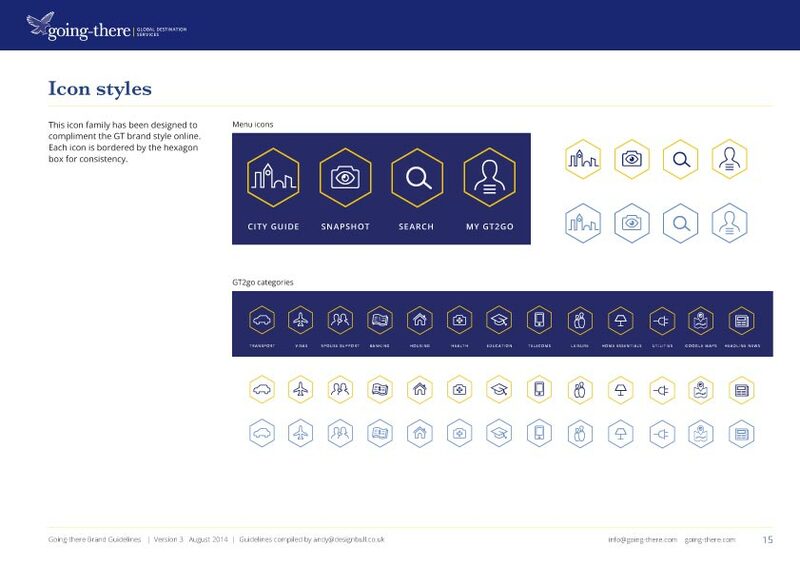 You can see all the completed design work on the left side of the document – from their website, city guides and family of logos, follow a consistent style. 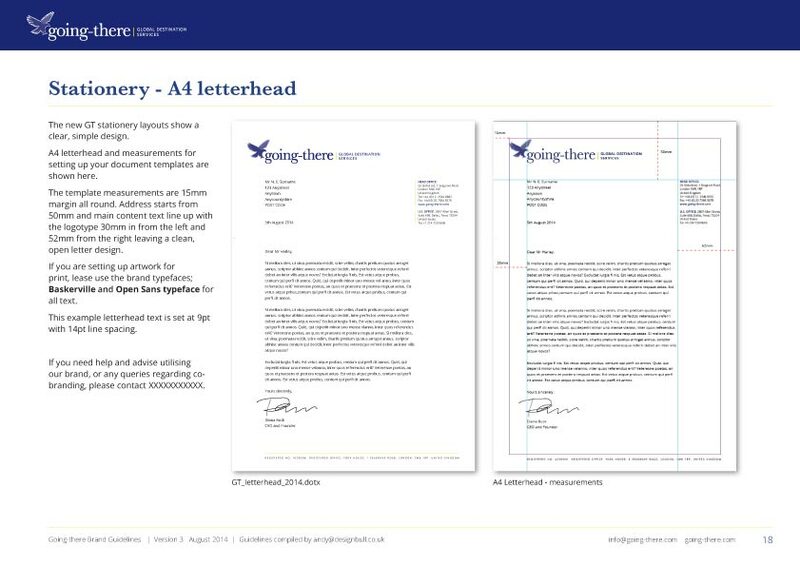 Whereas on the right side shows older materials in use around the company – business cards, letterheads, powerpoint templates. 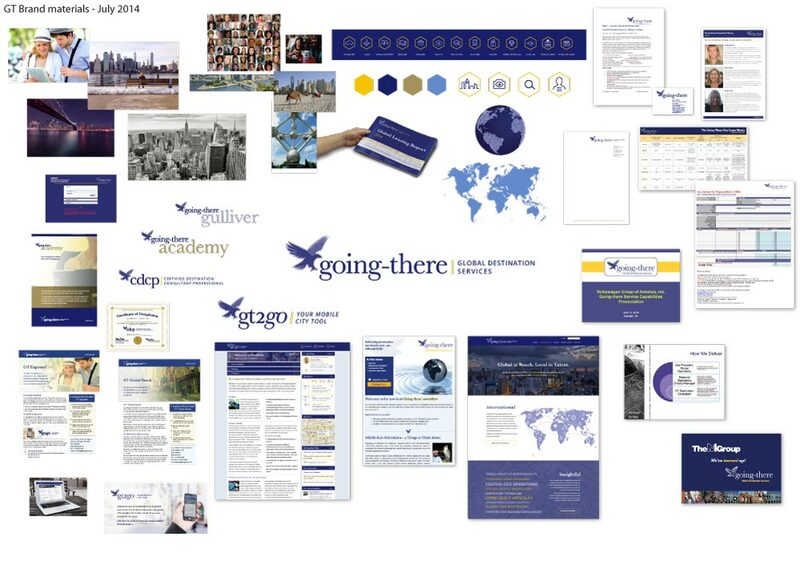 Using the brand analysis flowchart, I placed all their marketing materials into the same areas. 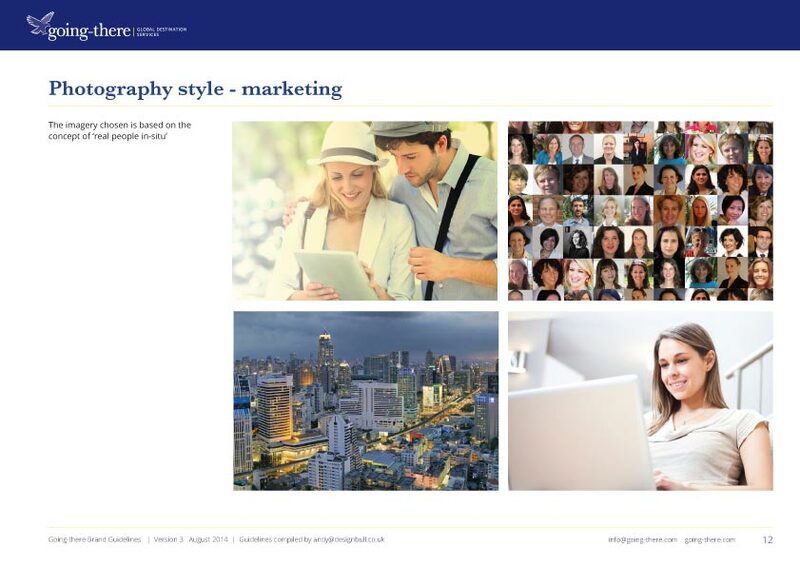 This brand analysis exercise was very useful. 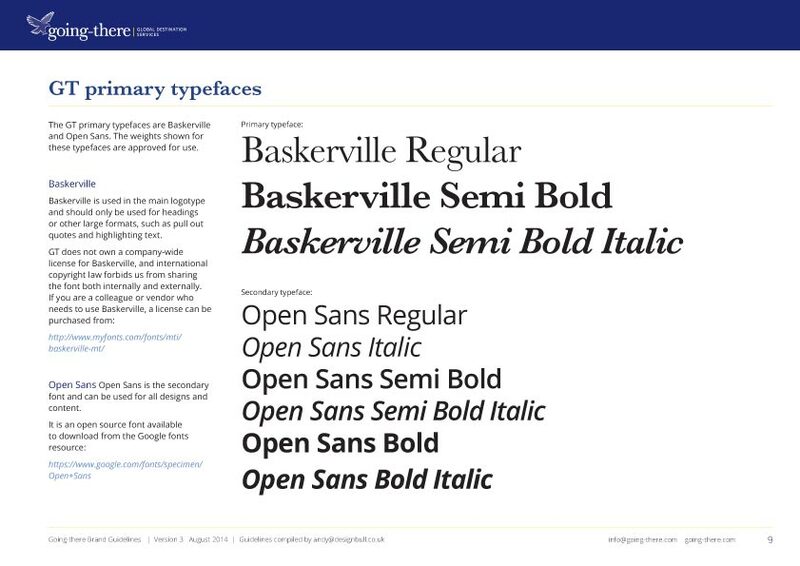 Laying it all out showed them the wide variances in design styles that were created over the years. 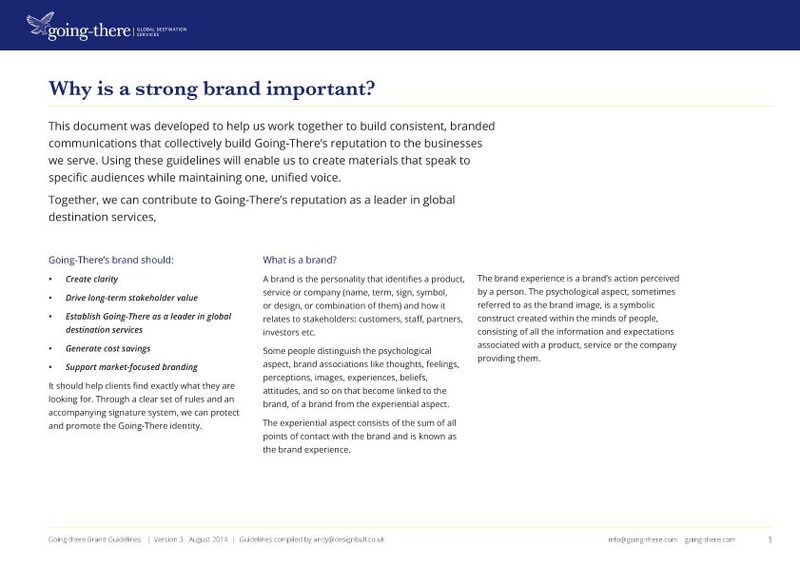 It convinced them of the need to create a brand guidelines document. 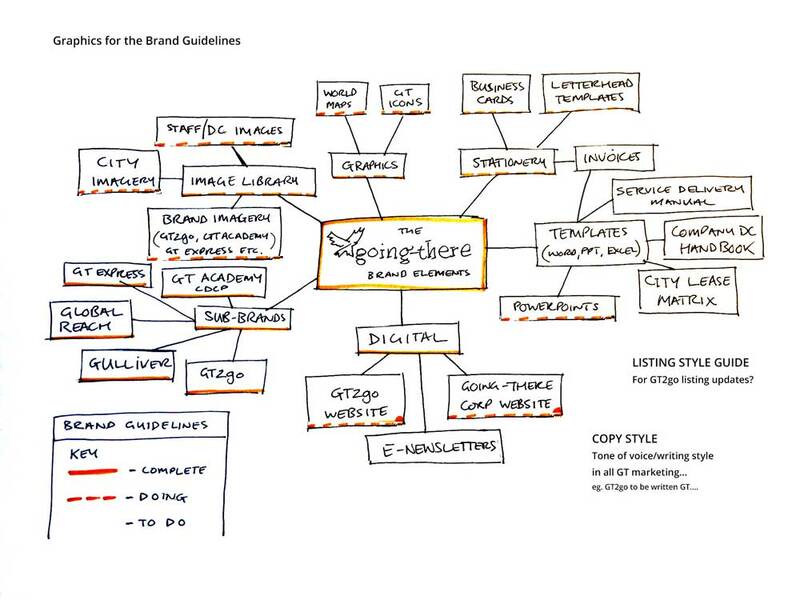 What goes into brand guidelines? 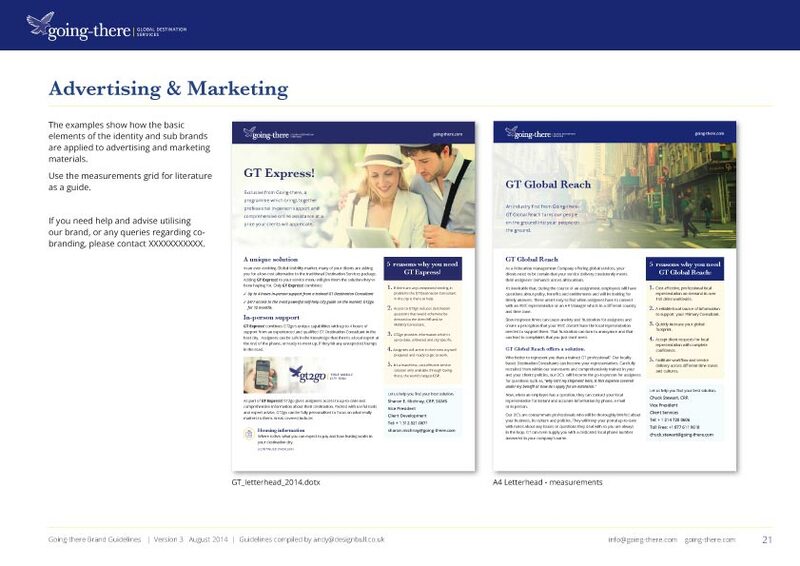 For GT Global, I started with an A4 landscape template and created their brand guidelines using all of their new designs I created. 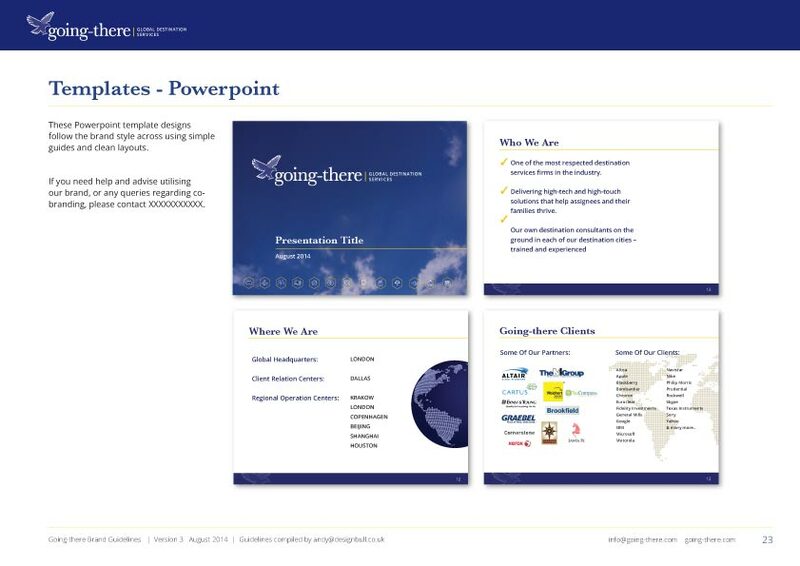 And for the older materials, I designed new templates to fit with this new brand style. 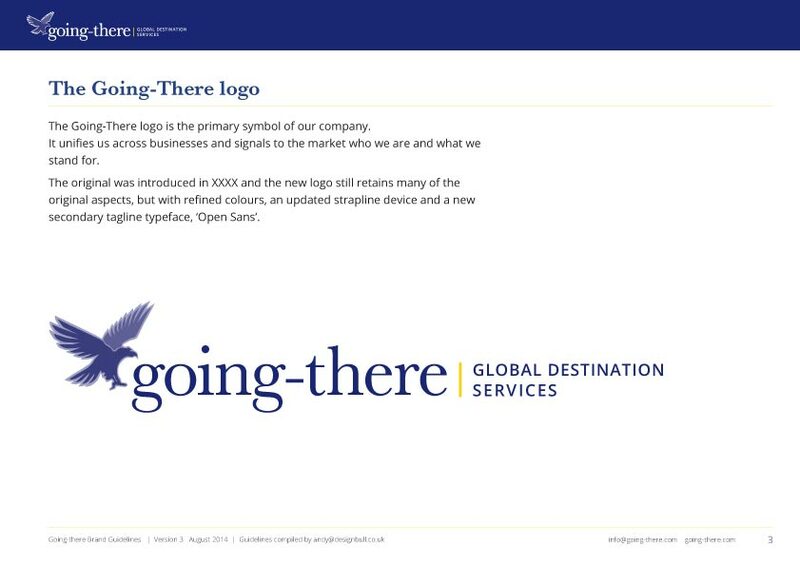 This entry was posted in Branding and tagged brand guidelines, corporate guidelines, how do I create brand guidelines, letterhead, style guide, why do I need brand guidelines.